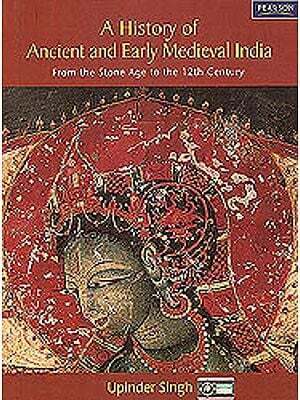 A collection of Seminal essays, this book focus on several significant aspects of medieval India from 1200 to 1750. From the formation fo the ruling class, social and demographic mobility, and irrigation in the Delhi Sultanate to the characteristic features of the Mughal state-the jagirdari system, nobility, revenue administration, and agrarian reforms-all the aspects have been explored in great detail. The volume also provides rare insights into medieval society and cultural and religious practices. It carries a translation from and notes on Aurangzeb’s farman on revenue administration. This book will be indispensible for scholars, teachers, and students of medieval history as well as general readers. Irfan Habib is Professor Emeritus of History at Aligarh Muslim University. He was also Chairman of the Indian Council of Historical Research from 1987 to 1993. 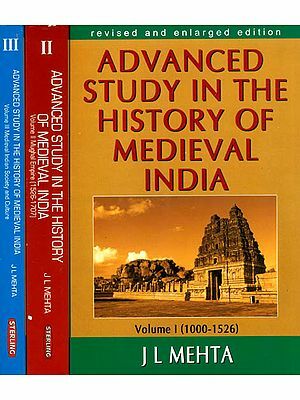 The present collection of essays on Medieval India seeks to bring within a single volume the fruits of some of the recent researches on Medieval India, and includes a study of a document, and reviews. The new series is a successor to the Medieval India Quarterly (5 volumes, 1950-63) and Medieval India-a Miscellany (4 volumes, 1969-75), issued successively under the editorship of Professors S. A. Rashid, S. Nurul Hasan, and K. A. NIzami and the undersigned. It is hoped that, though not claiming to be an annual periodical, the volumes of the present series will appear annually. While a most all the papers and reviews in this volume are from authors who had worked, or are working, at Aligarh, it is not our intention to confine future contributions only to those who fall under this category. The widest definition of Medieval India would be adopted in terms of time and scope, so to embrace any historical theme pertaining to any portion of the millennium preceding 1800, and to any region of South Asia. The Centre is grateful to the Oxford University Press for their willingness to undertake this enterprise on its behalf. Suggestions for improvement will be most welcome, and I should like to thank in advance all those who care to make them.